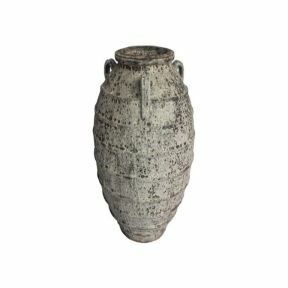 Taking design inspiration from the look of antiques salvaged from under the sea, the FP Collection Atlantis Pharaoh Urn is a stylish piece perfect for any modern garden. Its textural finish is a result of the unique firing process, leaving behind individual tones ranging from chalky whites and creams to earthy browns. No two pieces from the Atlantis range are alike.